Clears cloudy water fast by clumping together suspended particles which can be picked up by your filter or removed during partial water changes. 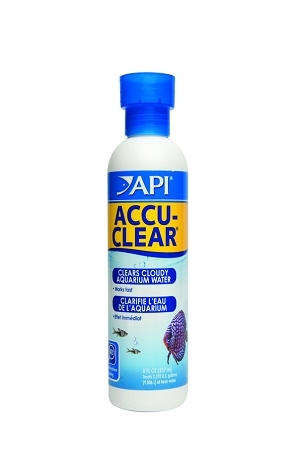 Eliminates "haze" that often occurs after aquarium cleaning. Highly concentrated and a little goes a long way.